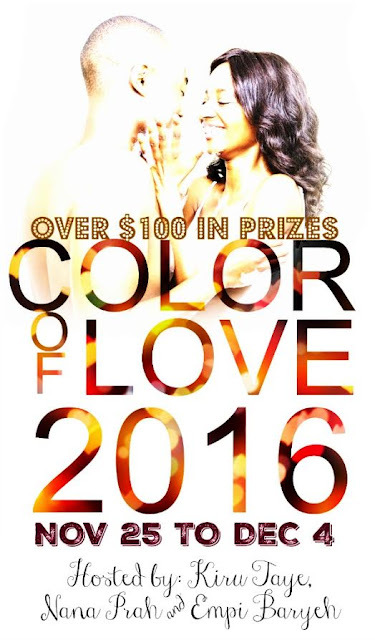 This blog is proud to join all lovers of romance especially readers of romance novels in celebrating diversity in romance novels through the 'Colour of Love Blog Hop 2016'. This blog hop is celebrating the beauty of multicultural love, especially among people of colour, to show that love/romance is a universal phenomenon which cuts across all races, cultures and colour. Click on the book cover image on the sidebar on this page and it will take you to Okadabooks where you can download your free copy. Happy hopping and best of luck in winning a prize!